This map isn't part of any series, but we have other maps of Baltimore that you might want to check out. 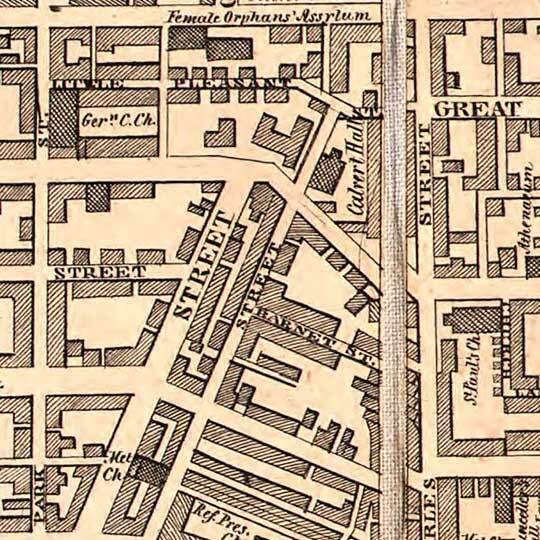 Cool and straightforward plan of the city of Baltimore by Sidney and Neff. I like it quite a bit. It seems like y'all already had your trademark inner-harbor pier-trapezoid going by 1851... but it looks different somehow. Anybody in Baltimore can tell me more about them? 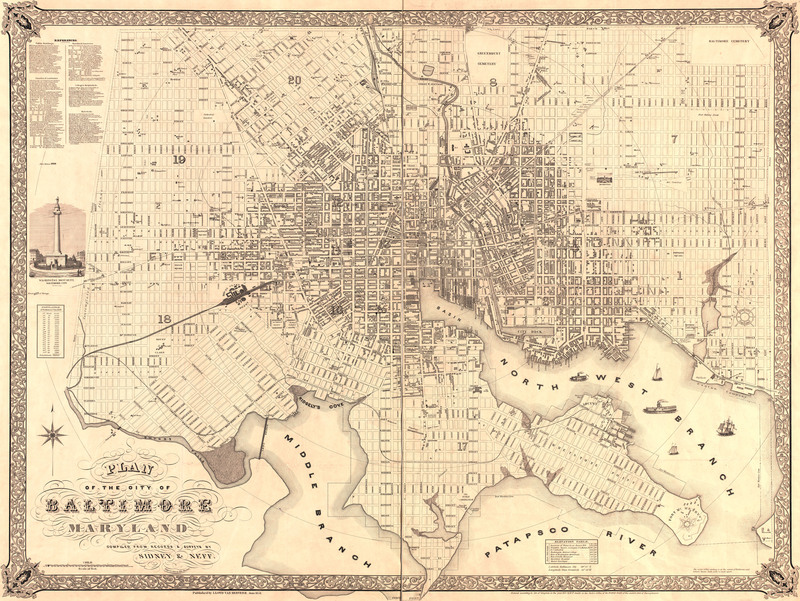 For more map resources and imagery from this period in Baltimore's history, check out the Maryland Historical Society's website.